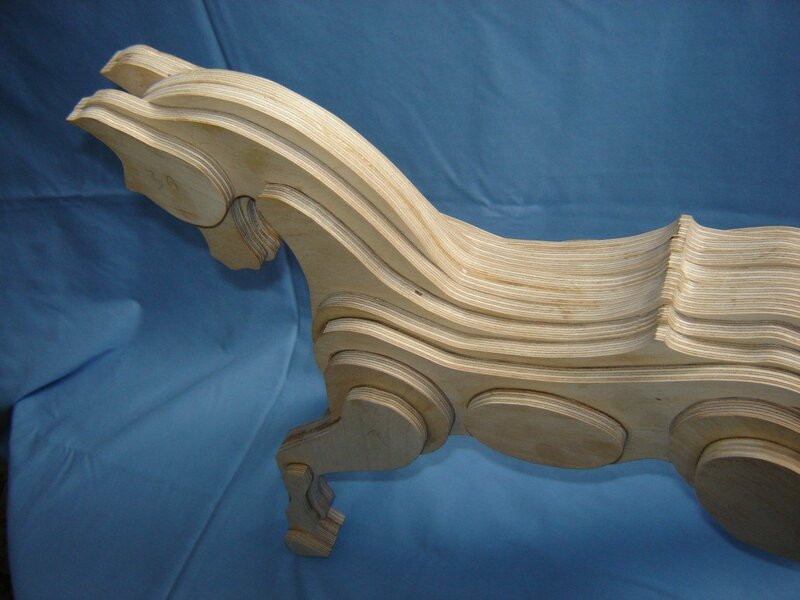 Carving a small plywood rocking horse made from a design by Judy F. Fergusson. 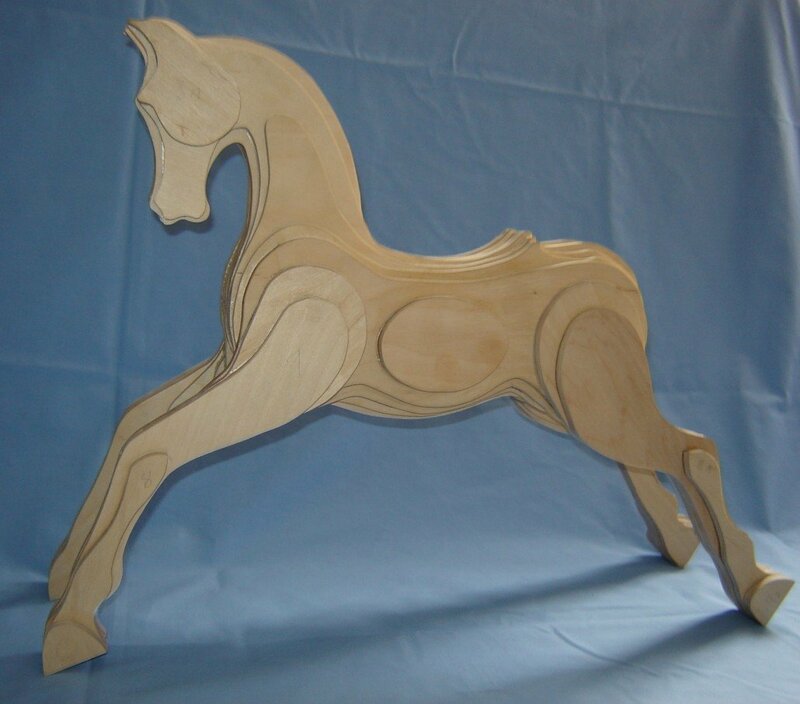 The horse is made from one 4’ by 4’ sheet of 9mm First Grade Finnish/Russian Birch Ply. 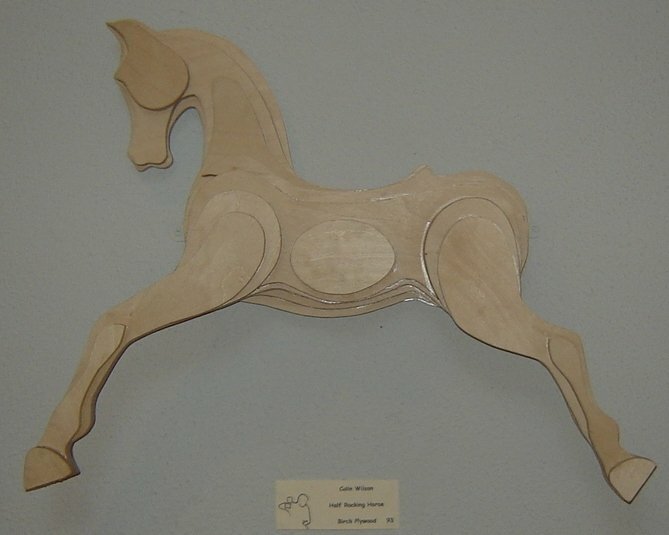 Pieces were cut out using a powered fretsaw/scrollsaw and then glued together to form the two halves of the horse and then both halves glued together to form the whole. 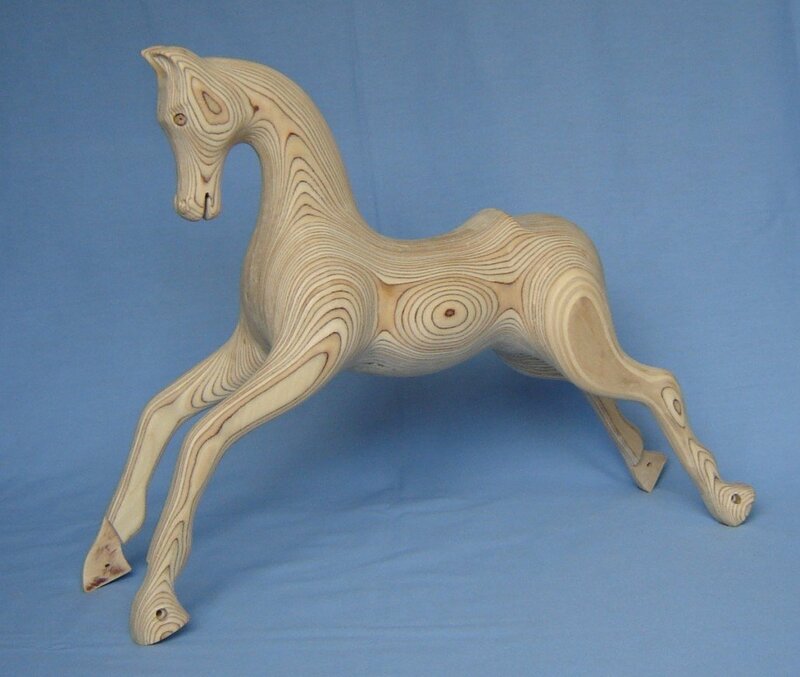 The glue used was cascamite, now called extramite. 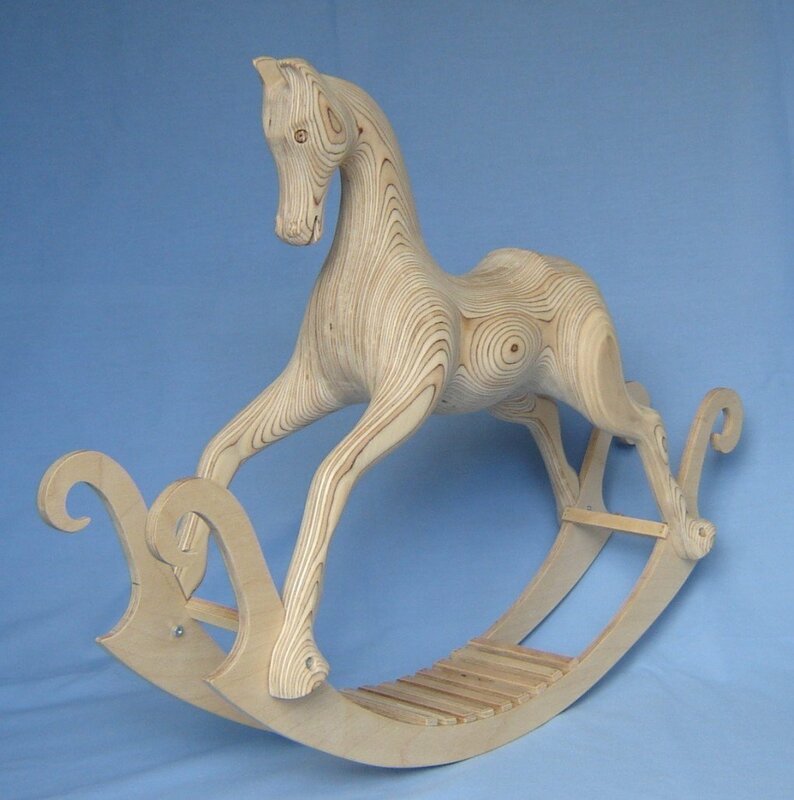 Once the glue had cured, shaping and carving was done using a Proxon longnecked angle grinder, fitted with a miniature carbatec cutting wheel, then a Black and Decker power sander and finally hand sanded, sealed and varnished. 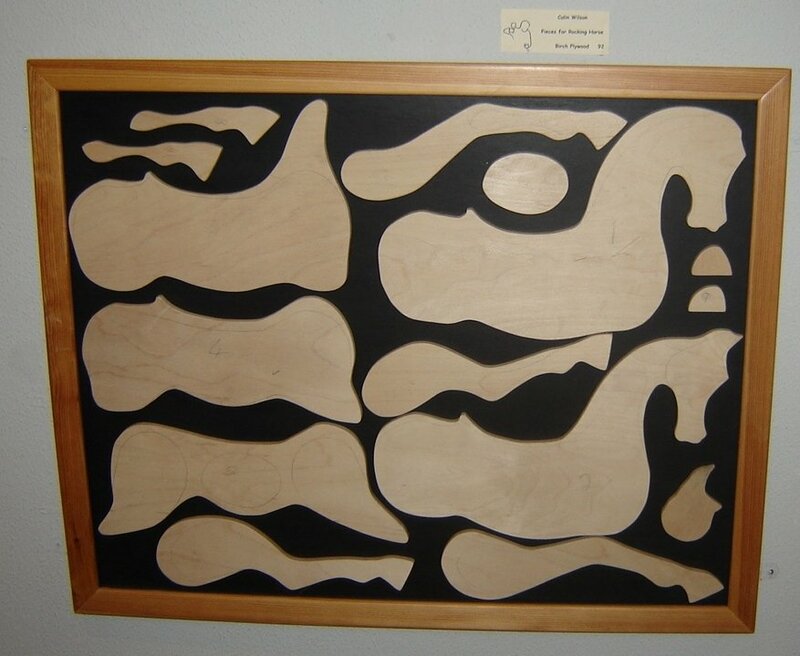 The rockers were simply cut out of the same 9mm ply, using the power fretsaw, glued, screwed and pinned together. 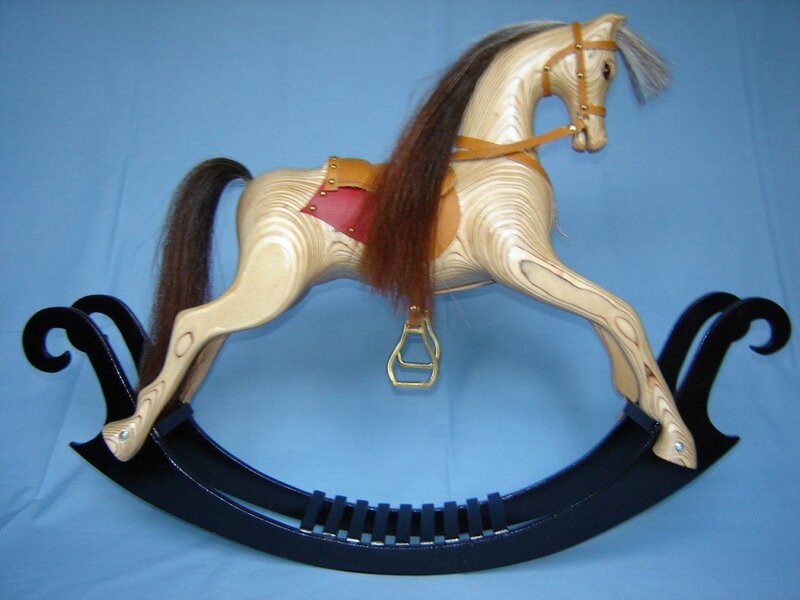 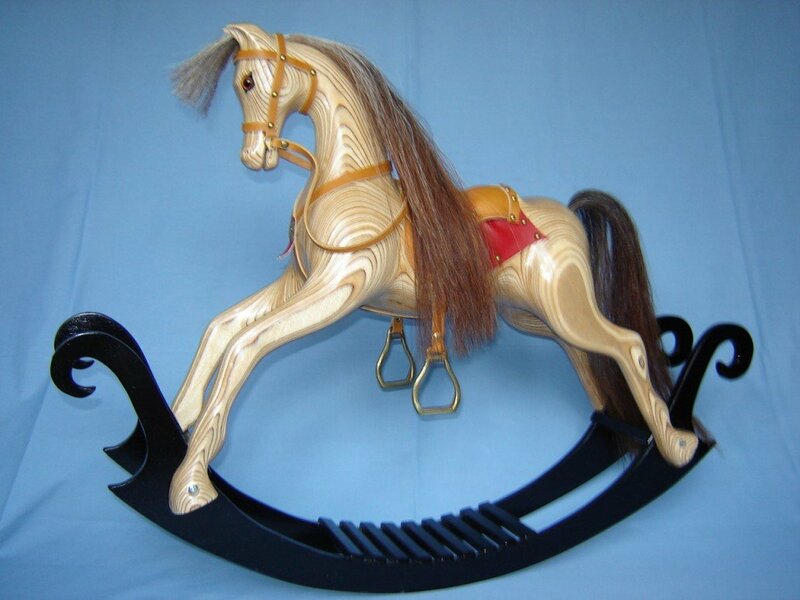 Mane, tail and tack were obtained from Anthony Dew, the Rocking Horse Shop, Fangfoss, Yorkshire.